Kit for the detection of elastic fibers and connective tissue, at the same time, on paraffin sections. 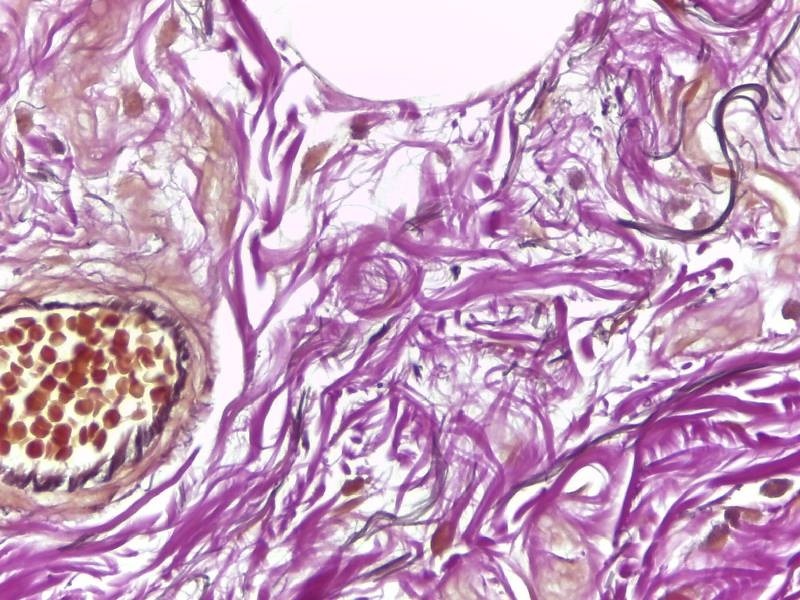 Resorcinol-fuchsine staining detects elastic fibers, nuclei highlighted with Weigert hematoxylin and picrofuchsine highlights connective tissue. Prolonged times of method increase its selectivity.